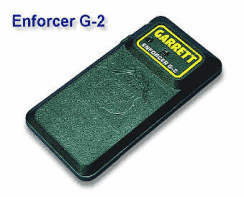 Garrett manufactures the finest security hand held metal detectors in the world. Don't rely on less expensive foreign made knockoffs. Features automatic retuning (no adjustments ever needed). Sensitivity can be limited if ambient metal causes interference. 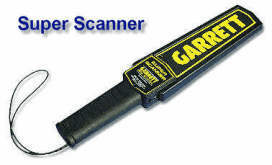 Has a large scanning surface for quick, yet thorough scanning. Features an automatic battery check. No tools are required to change batteries. Is lightweight, yet very rugged. Housing constructed of polycarbonate-fiber reinforced material. Utilizes surface mount electronic component technology. Allows effective searches without touching the body. Features automatic retuning and battery check. Has optional earphone for silent searches. Is designed for long, dependable service under rugged conditions.